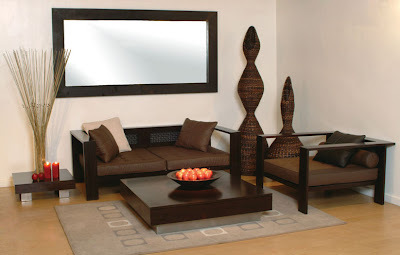 Wood furniture is the most decorative thing in our house as it catches the attention of every one especially guests. It is also quite expensive and one cannot replace it on a monthly basis. So it is very important to take care of your wood furniture. Indeed everyone does. However, there are instances when mold develops on wood furniture. That is the worst you can think of. Mold often develops when there is too much warmth in a room. So you better keep your room clean and tidy. In other cases it develops in areas that have moisture as well as food. So next time whenever you dine while sitting on your expensive wood furniture be ready to clean the corners of the furniture where the food might be trapped. Once the mold has developed on your Wood Furniture, you have no other option but to clean it. There are many methods of cleaning it and this article will highlight some of the best methods that have been tried and tested. 1. Start cleaning your wood furniture with the help of paper towels to clean it off any dust particles and other stuff apart from mold. 2. Soak a clean piece of wash cloth in a solution. That solution you will make by mixing two parts of detergent in three parts of water. To remove mold from the surface you wipe the furniture very gently after dipping the cloth in the solution. Wipe in smaller areas and keeping changing pieces of cloth. Drying one area before you begin cleaning another area. 3. Then proceed cleaning further with the help of furniture cleaner if you find out that there is white greasy film on the furniture. This is a wax build up or grease type stuff on the wood furniture. You have to get rid of the wax build up as with it mold can appear again and again. After that apply a thin layer of paste wax. This will help to cover up the furniture of the area. 4. Make another solution, with five parts of water with two parts of chlorine bleach. Mold often develops on wood under the finish (which is not finished area). Rinse that area with plain water and apply chlorine bleach solution on it. And remember does not use bleach on finish surfaces. 5. Wipe the furniture with paper towels to make it dry and then keep it outside under sunlight and mold will be completely removed. 1. First clean the furniture with paper towels to remove any dust particles or other sturdy stains. 2. Use vacuum cleaner on the entire furniture. 3. Spray Lysol on the furniture and keep it applied on for ten to twenty minutes. 4. Dry it with the help of paper towels. 5. Keep the furniture out in sunlight and the mold will be removed. 1. Wear gloves when you are involved in cleaning process of wood furniture. 2. Wear protective eye cover as solution can go in your eyes or parts of skin. 3. Once you apply a solution do not leave it unattended it is very important to rinse and dry it as it can be very dangerous for the furniture. 4. Never live with mold stain furniture’s as it is not at all good for your health. 5. If you treat the stain very late, which means that the stain gets worse and you eventually have to throw away the furniture. 6. If the furniture is old then you may call the professionals to treat the stain. As they have expertise in the required work. 7. Throw away paper towels by which you wiped the mold and your gloves so mold has no other chance of developing. Amazing experience with these Plastic products pub chairs site and recommend to all! Beautiful, quality Friendship bench furniture, Brenda am helpful with this buy process. May absolutely be coming back! Thanks!